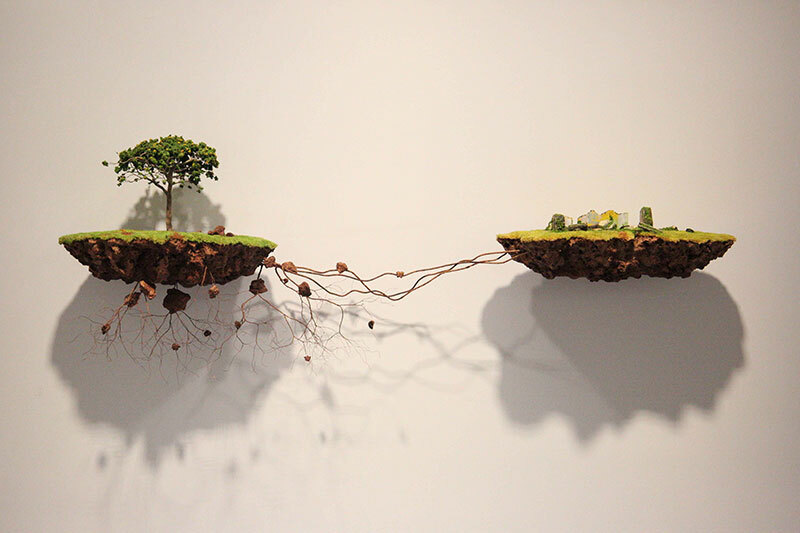 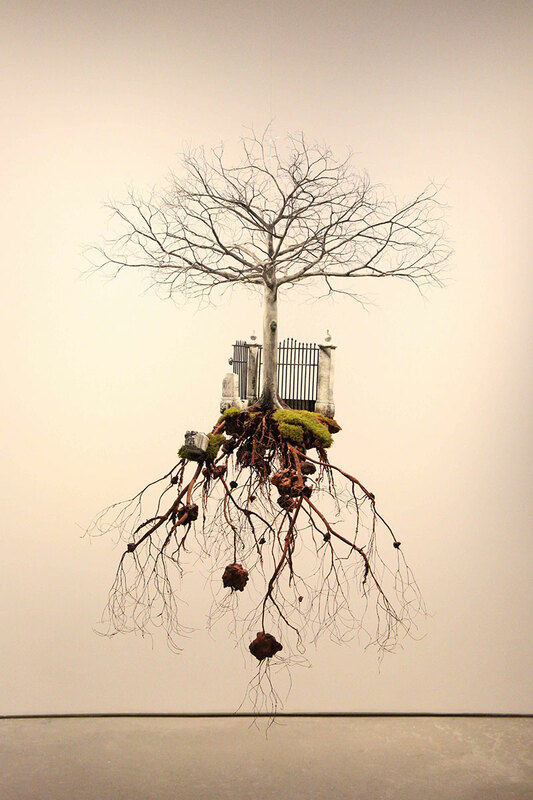 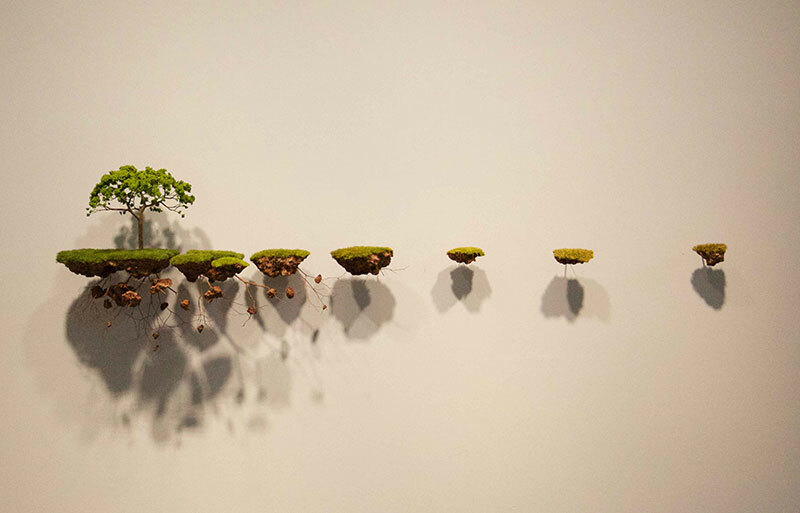 Realistic sculptures of trees and structures suspended in midair appearing seemingly broken by Cuban artist Jorge Mayet. 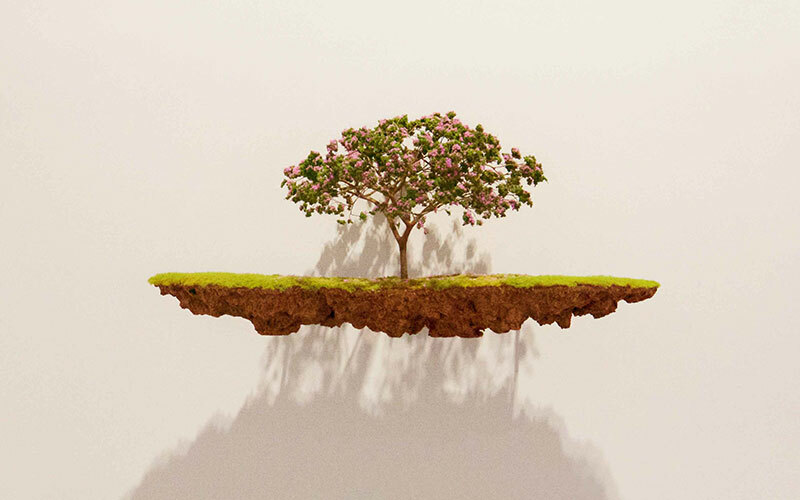 The floating landscapes and uprooted trees hang on tenuous threads of roots that reflects on Mayet's experiences living as a Cuban exile in Spain. 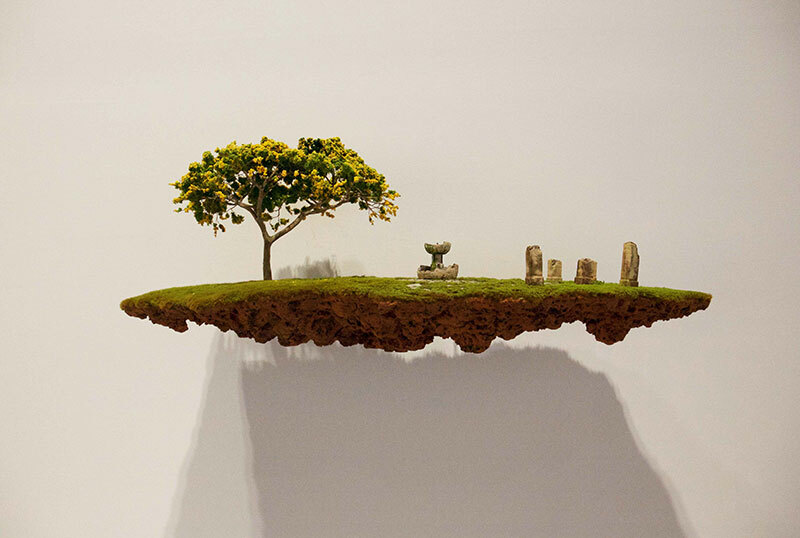 The works are physical manifestations of the artist’s yearning for his homeland and presents an anthology of splintered memories—an interlacing of fleeting moments belonging to the artist and to the Cuban diaspora. 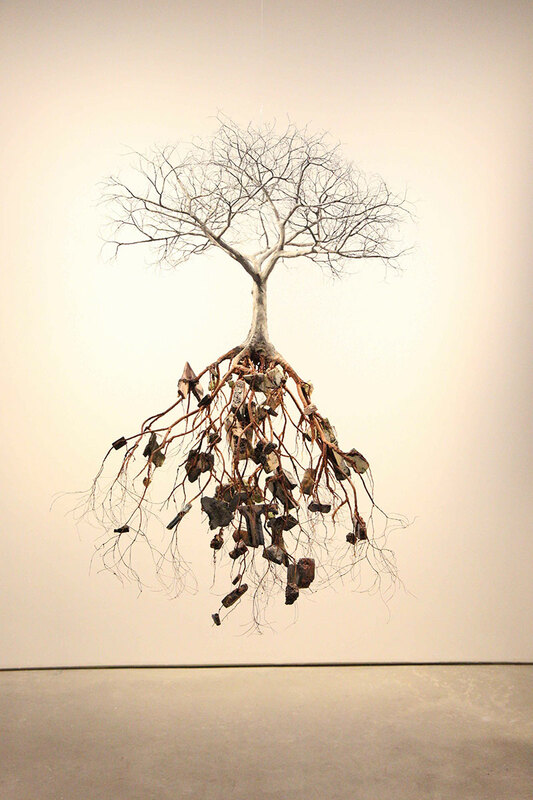 Maybe subconsciously, I live like a tree pulled from its roots and in that way my installations are a metaphor for my life, but on a conscious level, I believe that we have to value each part of this Earth that belongs to us, because it is from she that we are able to live. 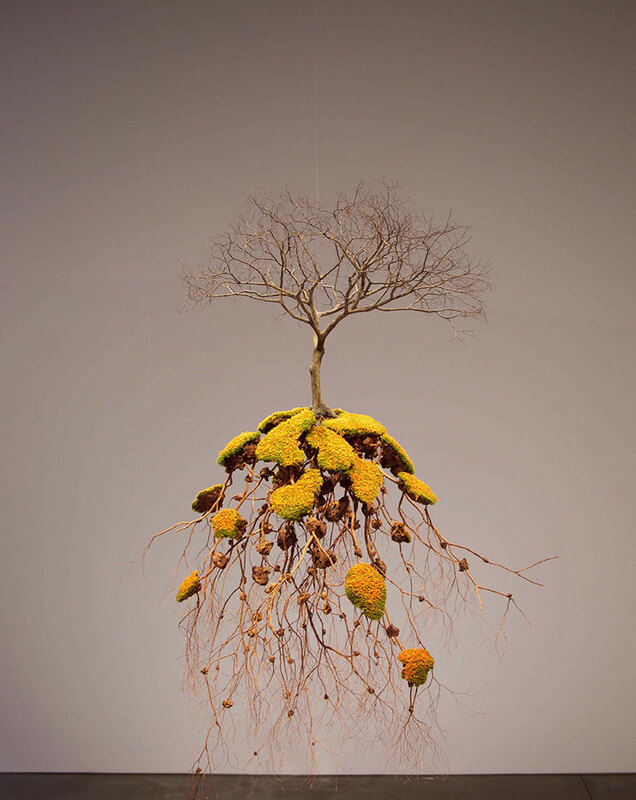 On view at Richard Taittinger Gallery through August 28. 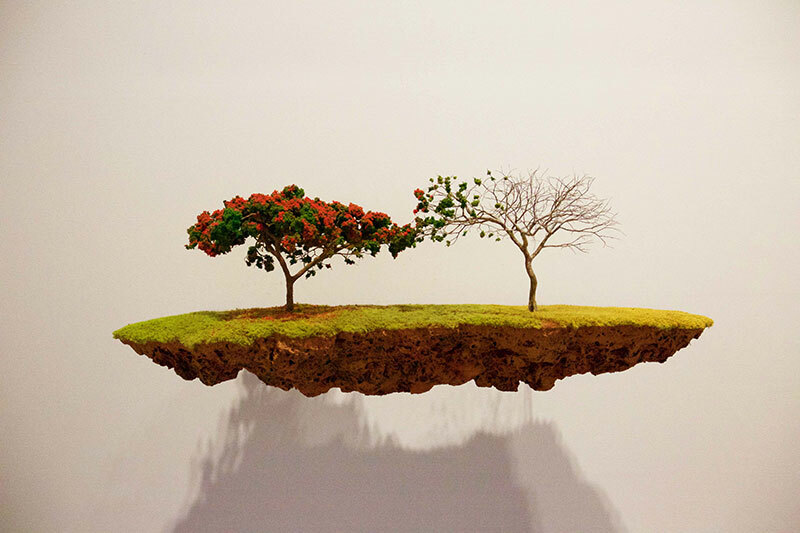 Realistic sculptures of trees and structures suspended in midair appearing seemingly broken by Cuban artist Jorge Mayet.